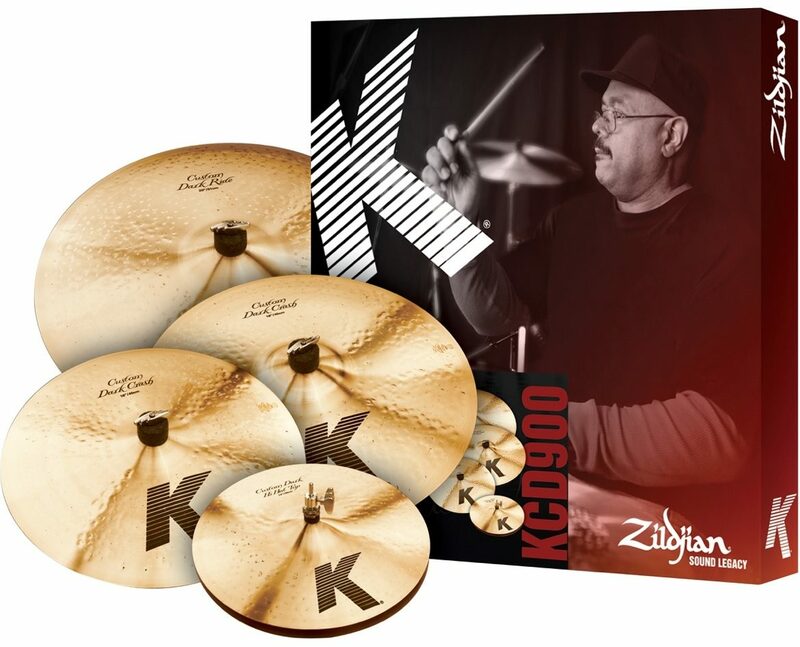 K Custom Dark cymbals are known for their warm, rich sound that cuts through and sings out. Overhammering on top of the cymbal provides slightly dry, trashy overtones. This pack is comprised of the most popular sizes within the K Custom Dark lineup: 14" Hi-Hats, 16" Crash, Free 18" Crash Value $319.95, and a 20" Ride. Made in U.S.A.
- 18" K Custom Dark Crash! Free Value $319.95! Overall: Was looking to upgrade our church cymbals and wanted something that was pro level and would nor require another upgrade a few years down the road. For our application which is mostly contemporary worship these fit in perfectly within the mix. They have the perfect amount of wash and stick definition. They are dark but at the same time can cut through any mix if necessary. Extremely pleased with this cymbal pack. Would buy agaifn! "Don't, Don't Don't Believe the Hype!" Overall: These cymbals do not rock. They are harsh and unrefined without that old school K Custom sound that made this brand synonymous with some of the best players. They are acceptable only as a budget "dry" pack and that would be fair at only half the price. The A custom line is surprisingly superior sounding for less money. The K name deserved better. This is what I would call the budget K line. "Custom" is a euphemism. The sound is trite and without the range of tones I had expected from the big dog at the table. Mine was an open box so somebody must of had the same experience as me. I'm very disappointed. 10 of 16 people (62.5%) found this review helpful. Did you?